Well, it’s certainly been a bit of a mixed bag this week! 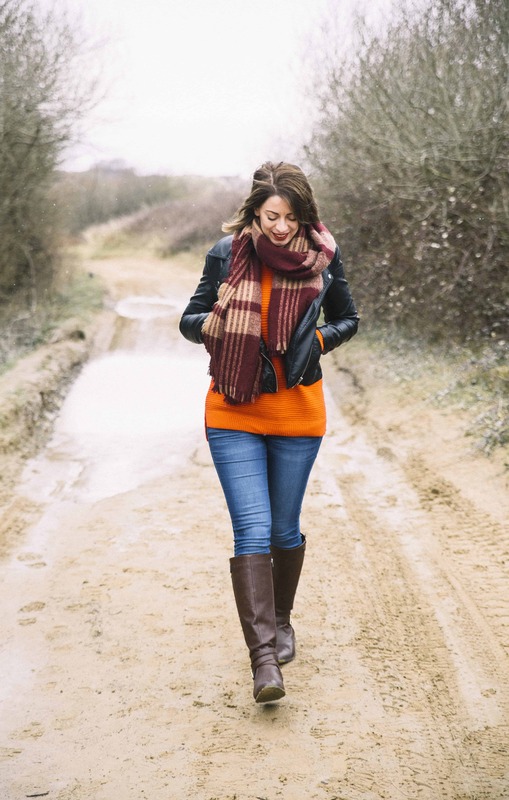 I’ve managed to get back onto the training – which has been awesome – but as soon as the bank holiday weekend hit the healthy eating was, unfortunately, out of the window! PT Steve went to Bodypower Expo the other weekend and brought back with him this awesome book from the Protein Pow(d)er blog. I’d always wanted to give cooking with protein powder a go but never knew what to do, and this book is great and in such a fun and funky design! It’s full of loads of different cakes, doughnuts, pancakes and treats, but all using protein powder and healthy ingredients – and all of it is gluten free or easily adaptable. 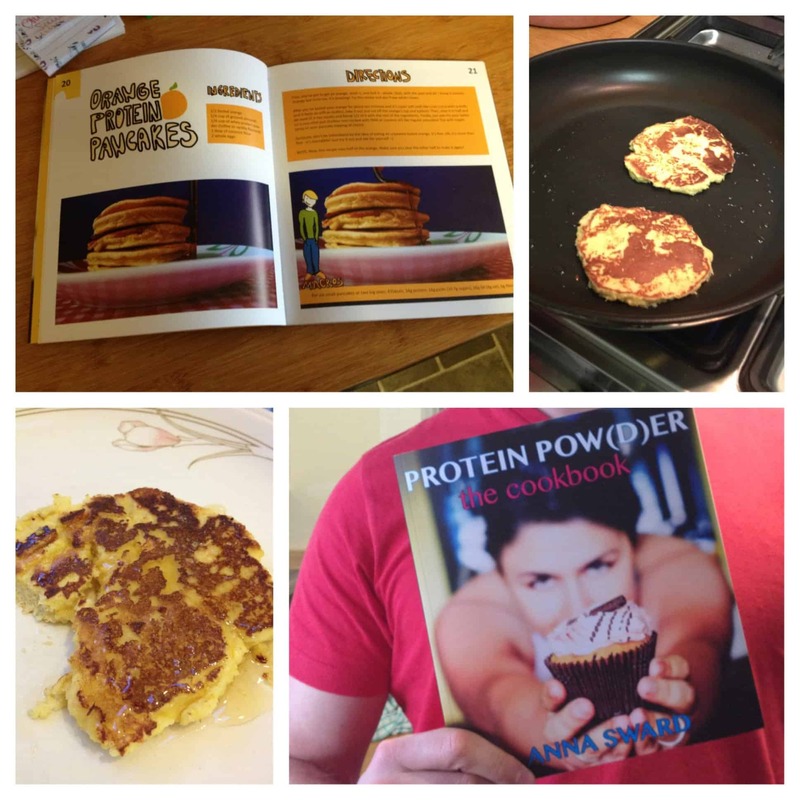 The first thing we decided to try were the orange protein pancakes. After a horrendous experiment several years ago when juicing an orange (peel and all) and not being able to get the disgusting taste out of my mouth for weeks, I was a bit worried about chucking in a whole orange. But it actually worked amazingly well and the pancakes were so tasty – we got the quanities a little wrong but it’s all practice and I know these recipes are going to be perfect for when I’m craving a sweet treat! The not so healthy stuff…. After the success of the protein pancakes, I couldn’t resist some more sweetness and I ended up making some (full fat, delicious) cookies. 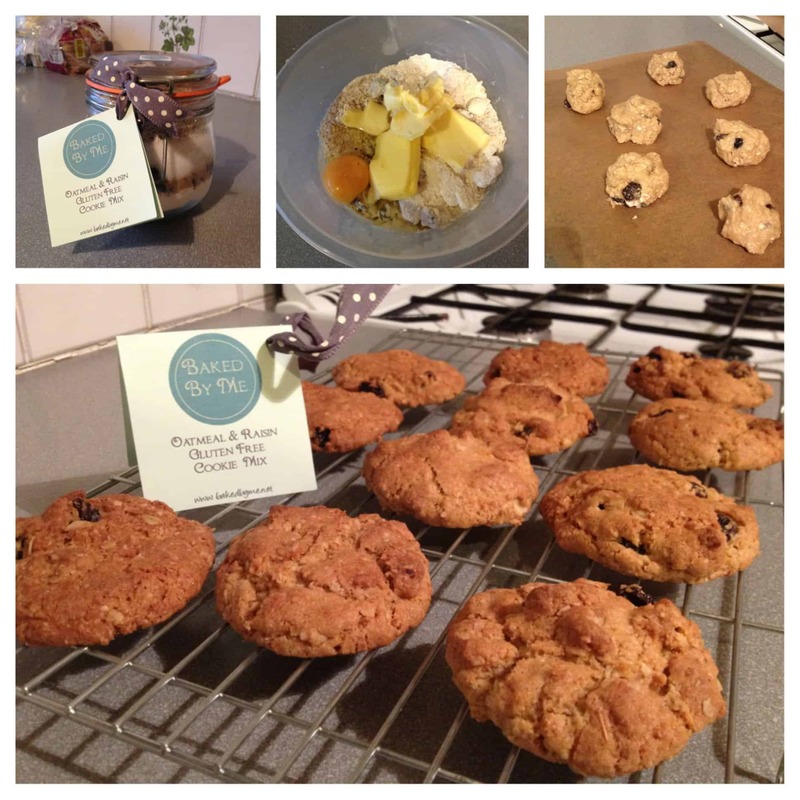 A while ago I was sent some gluten free oatmeal and raisin cookie mix from Baked By Me to try. I absolutely LOVED the look of this – it would be the perfect present. Layered into a cute little jar with gorgeous labelling it’s so easy to make – just add the eggs and the fat and cook – sorted! The cookies came out a lovely golden colour – they were packed generously with juicy fat raisins and they had a lovely texture. Even the non-gluten-free-family commented on how good they were and they didn’t seem to even noice they were gluten free! For another sneaky bank holiday treat, Steve and I also took advantage of the nice weather and popped over to the seaside town of Westward Ho! 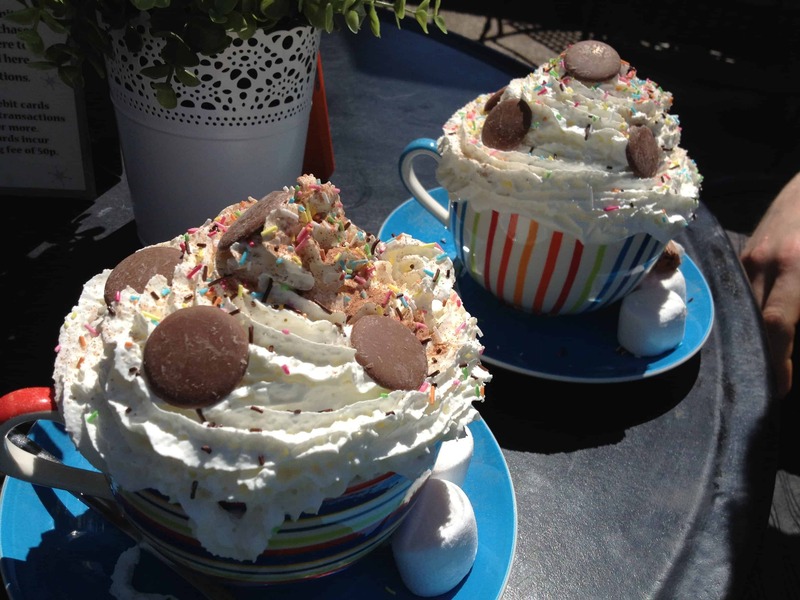 It’s not our usual beach haunt in North Devon but I’d read about this lovely cafe called Tea on the Green and I really wanted to give one of their delux hot chocolates a try. 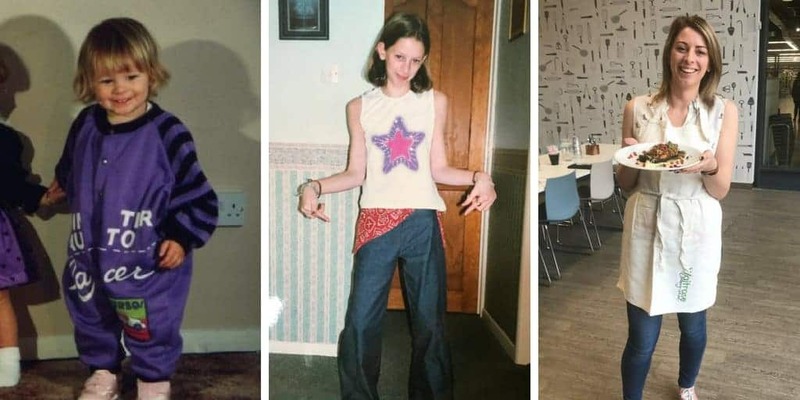 We certainly weren’t disappointed – with over a pint of milk and covered in whipped cream, chocolate buttons and all sorts of goodies, everyone sat around us went ‘wow’ as they were brought out to us. I had asked Tea on the Green on Facebook if they did gluten free cakes and they said they have some every day – but after stuffing myself with a monster hot chocolate and a very generously-filled jacket potato and cheese, I felt too full to even look at the cakes! 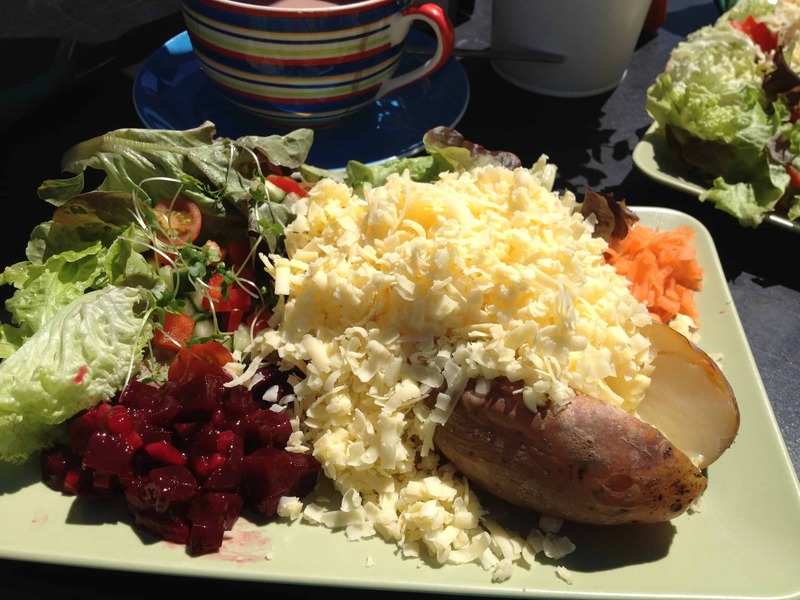 This little cafe is gorgeous and the menu is great with coeliac-friendly jacket potatoes and cakes – though I would recommend booking a table if you’re coming in the summer months because it is so busy and popular! Overall, a bit of a crazy weekend – after eating so much naughty food and realising I only have four months to get super ripped I really need to try and get back into eating healthily. Now I’ve started training again I am feeling really motivated to continue but it’s the eating I am struggling with – and I’ve slipped back into my bad coffee habit! Hopefully my next fitness update will see a bit more salad and a bit less hot chocolate…..
baked by me gluten free, bank holiday weekend, cookies, fitness, gluten free blog, gluten free blog uk, gluten free blogger, gluten free north devon, gluten free raisin and oatmeal cookies, gluten free westward ho!, health and fitness, hot chocolate, protein pancakes, sunshine, tea on the green westward ho!, westward ho!